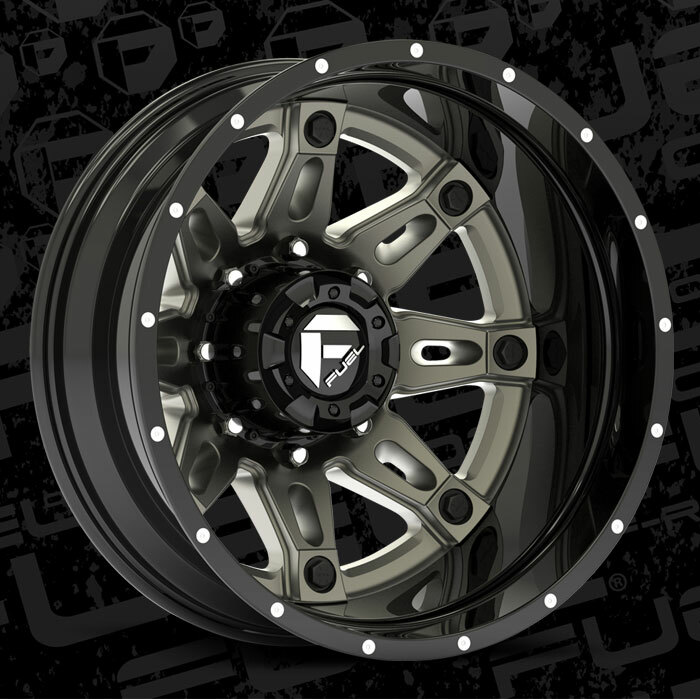 Hostage II Dually Rear - D232 - MHT Wheels Inc.
Fuel 2 pc. 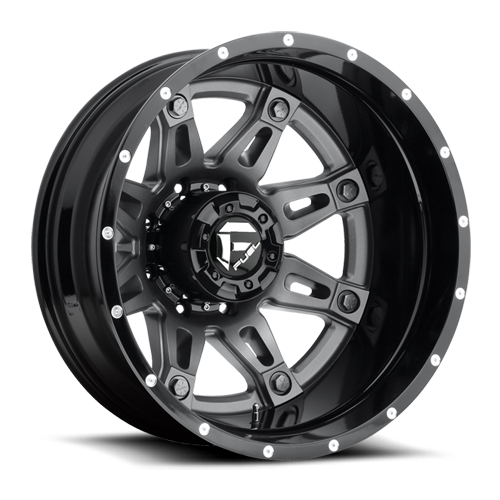 dually wheels do not need adaptors and are available for stock and lifted applications. 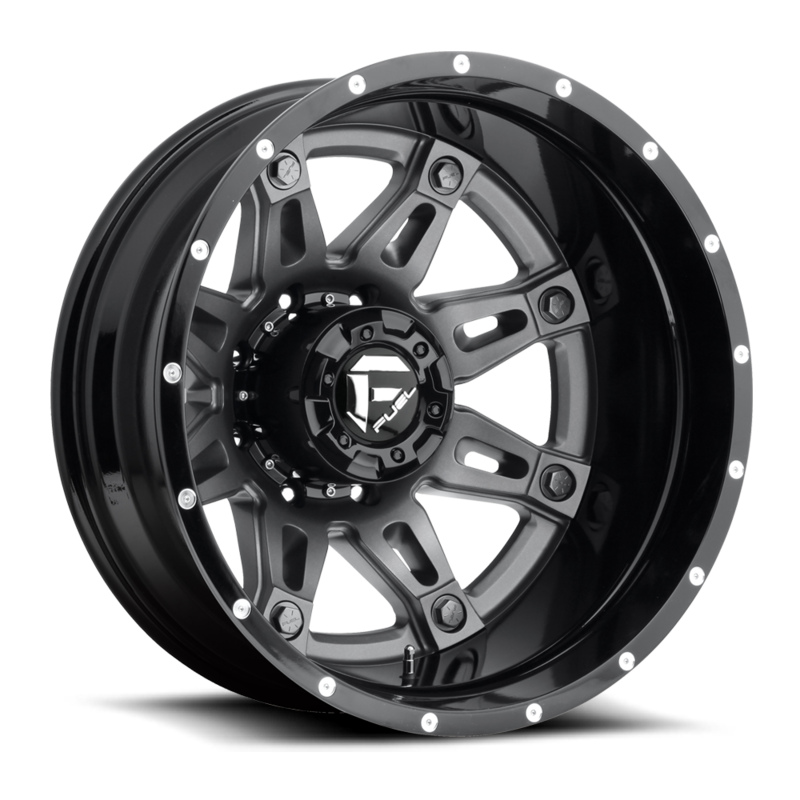 22” wheels have 3 rear outer wheels available with offsets for street, mid level lift kit, and large lift kits with wider M/T Tires. 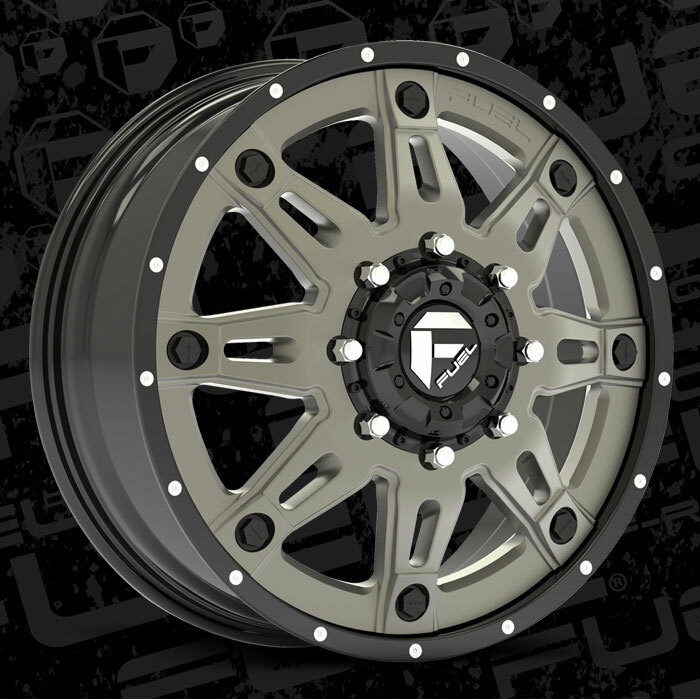 The 24” wheels have 2 rear outer wheel options, street and lifted to fit up to a 13.50” wide tire. Custom Finished with chrome or gloss black lip.